Real Madrid collected the 3 points in today's league fixture against Leganés, beating the visitors by 2-1 thanks to goals from Gareth Bale and Borja Mayoral. The Merengues are in 3rd place, only 1 point behind Atletico Madrid. 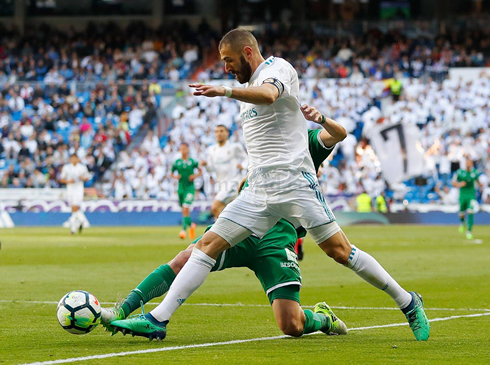 With the UEFA Champions League semi-finals second leg in the back of everyone's mind in Madrid, the Merengues managed to concentrate in today's game against Leganés and grab the 3 points in a complicated 2-1 win. 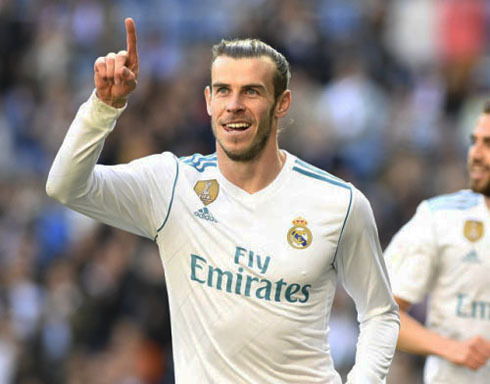 With most of the usual starters either on the bench or resting for next Tuesday's clash, it had to be Gareth Bale opening the scoring in the first half. 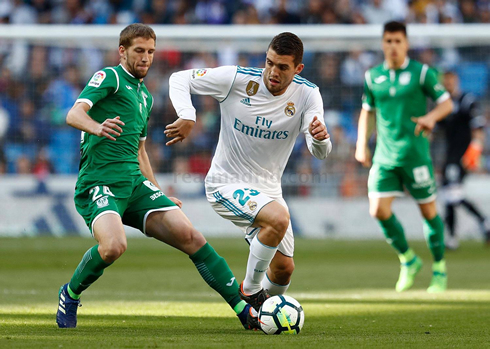 The visitors reacted well to the disadvantage, but Borja Mayoral would eventually make it more comfortable for his team when he increased the lead to 2 goals before the half-time break. In the second half, Leganés cut the distances back to a 1-goal lead, but Real Madrid held on to it and are now only 1 point behind 2nd place Atletico Madrid. Let's be honest, that was a pretty dreadful game overall and while Leganes are certainly a formidable opponent at times like these, it's clear that the "B" team is just not up to the task and some changes need to be made. That's a bit of a shame as the talent is clearly there on an individual level, but it appears that the players themselves just don't seem to mesh together seamlessly. Most of the big guns were absent for this match, an understandable strategy given just how important this week's coming matchup with Bayern Munich will be. Sergio Ramos, Marcelo, Cristiano Ronaldo, Modric, and Varane were all rested. Even Lucas was given a break. 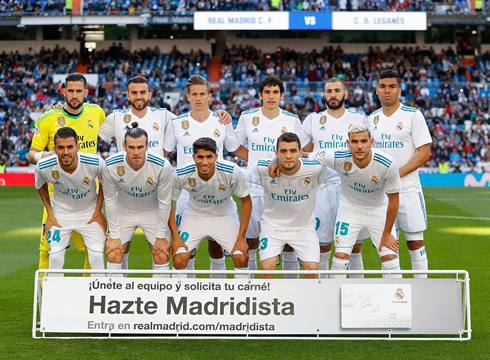 That meant that Bale and Benzema started up top, with a makeshift midfield of Kovacic, Ceballos, and Llorente filling in. The goals did come. Two close-range finishes from Bale and Mayoral would give us the victory, but to be honest Leganes could have certainly won the game. Time after time poor structural mistakes, an alarming lack of concentration and a series of mental lapses had the away side on the doorstep of our goal time and time again. It was a frantic performance that will really need to be rectified next season, if we are going to challenge in the league. Bale, however, did have quite a good game (especially defensively) and may convince Zidane to start him against Bayern. With Carvajal and Isco out for the return leg and for the near future, the Welshman may have a massive role to play still as the season nears its close. Cristiano Ronaldo next game for Real Madrid is on May 1 of 2018 against Bayern Munich. You can watch Juventus live stream, Real Madrid vs Bayern Munich, Deportivo vs Barcelona, Manchester United vs Arsenal, West Ham vs Manchester City, and Celtic vs Rangers, all matches provided from our sports live football game pages.